After some deliberation, his co-worker convinced him to go to the hospital in Grinnell. While there, he went into cardiac arrest and the transfer protocol was initiated. Michael was quickly sent by helicopter to Mercy Medical Center – Des Moines. Upon arrival, he was rushed to the cardiac catheterization lab, where he went into cardiac arrest again and required CPR and multiple shocks to resuscitate. An intra-aortic balloon pump was placed and therapeutic hypothermia (cooling) started to protect his brain from becoming severely damaged. While still recovering in the hospital, Michael suffered another ventricular tachycardia on Feb. 18, and was rushed to the operating room where, after being shocked multiple times again, he was placed on extracorporeal membrane oxygenation (ECMO) because his heart was not functioning properly. On ECMO, the machine takes over the function of the heart and lungs – removing blood from the body and then artificially removing the carbon dioxide and oxygenatings the red blood cells. It then returns the oxygenated blood back into the body. 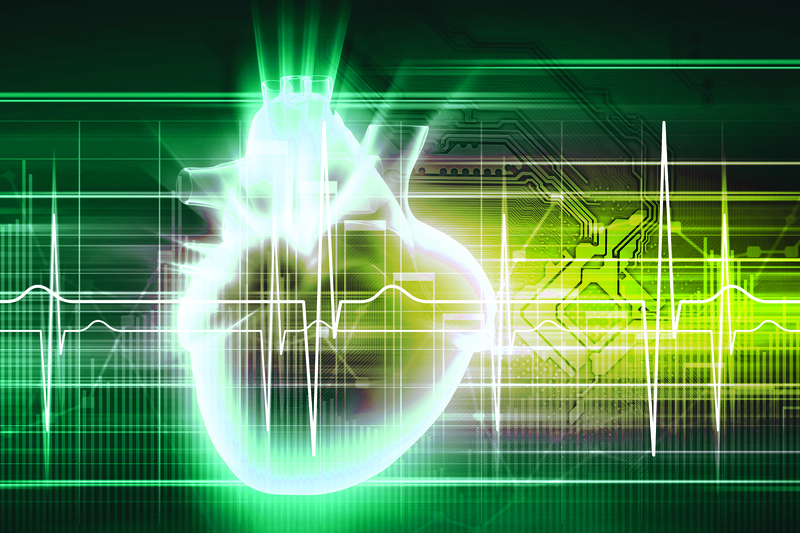 This procedure allows the heart and lungs the chance to rest and hopefully recover. “To everyone’s surprise, Michael recovered more quickly than expected. Once his condition had improved, he was taken off ECMO,” said Jennifer Goerbig-Campbell, M.D., an Iowa Heart Center advanced heart failure cardiologist who also treats Michael. However, after experiencing multiple cardiac arrests and shocks (estimated to be more than 200 times), his ejection fraction – a measurement of the percentage of blood leaving the heart each time it contracts – was down to 20 percent. Because his heart was damaged and not pumping effectively on its own, he was evaluated for a left ventricular assist device (LVAD) – a mechanical pump attached to the heart that works with the heart to help it pump more blood with less work. It does this by continuously taking blood from the left ventricle and moving it to the aorta, which then delivers the oxygen-rich blood throughout the body. The HeartMate II LVAD was implanted on Feb. 23, 2016, by Ganga Prabhakar, cardiothoracic surgeon at Mercy and Iowa Heart Center. After recovering in the hospital and the acute rehab unit, Michael was able to go home on March 22. He is currently being evaluated for a heart transplant at the University of Iowa Hospital & Clinics. When a new heart becomes available, the LVAD will be removed, along with his bad heart. In the meantime, he is enjoying time with his wife, children and grandchildren. Learn more. 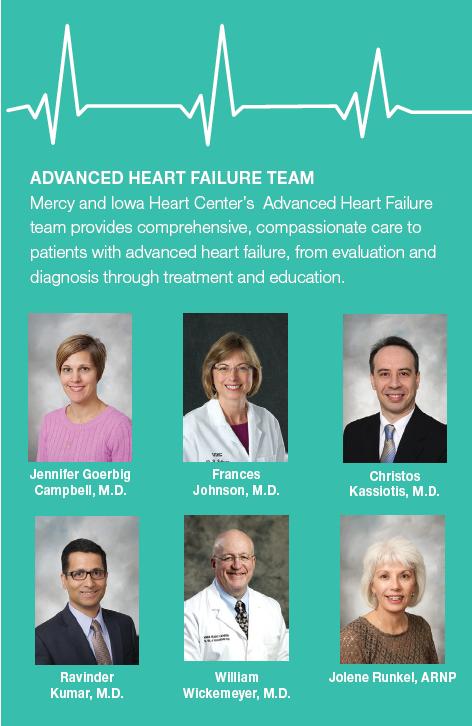 For more information on LVAD or the Advanced Heart Failure Program, please call (515) 633-3770 or visit www.iowaheart.com. Previous story Is it possible to increase your OVERALL wellness?